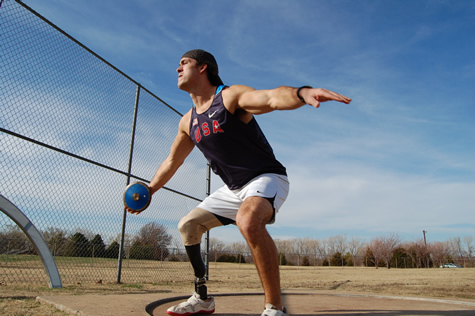 University of Central Oklahoma resident athlete and paralympic gold medalist Jeremy Campbell recently received an ESPY award for Best Male Athlete with a Disability and a gold medal at the IPC (International Paralympic Committee) Athletics World Championship in Lyon, France. 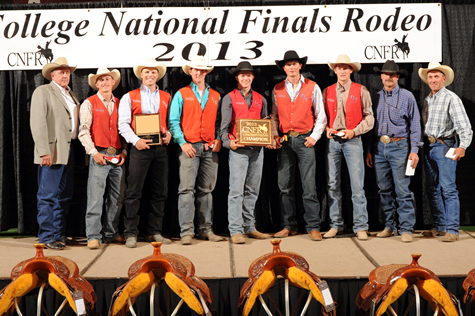 Pictured is the 2013 College National Champion OPSU Men's Rodeo Team at the 2013 College National Finals Rodeo held June 9-15, 2013, in Casper, Wyo. OSU Institute of Technology automotive collision repair freshman Tyler Hardin operates a die grinder he received as part of three separate awards he received from the I-Car Education Foundation.